The average cost of assisted living in Brown County is $3,410 per month. This is higher than the national median of $3,346. Cheaper nearby regions include Calumet County with an average starting cost of $3,289. To help you with your search, browse the 102 reviews below for assisted living facilities in Brown County. On average, consumers rate assisted living in Brown County 4.2 out of 5 stars. Better rated regions include Calumet County with an average rating of 4.3 out of 5 stars. Caring.com has helped 11 families in Brown County find high-quality senior care. To speak with one of our Family Advisors about assisted living options and costs in Brown County, call (855) 863-8283. Brown County is home to around 262,000 people who live in the 13 townships, nine villages and two cities of the county. The county has a sizable senior population, with some 14 percent of the population aged 65 and over. Seniors looking for assistance with daily living have 35 assisted living facilities to choose from in the cities of De Pere and Green Bay as well as the county's smaller communities. 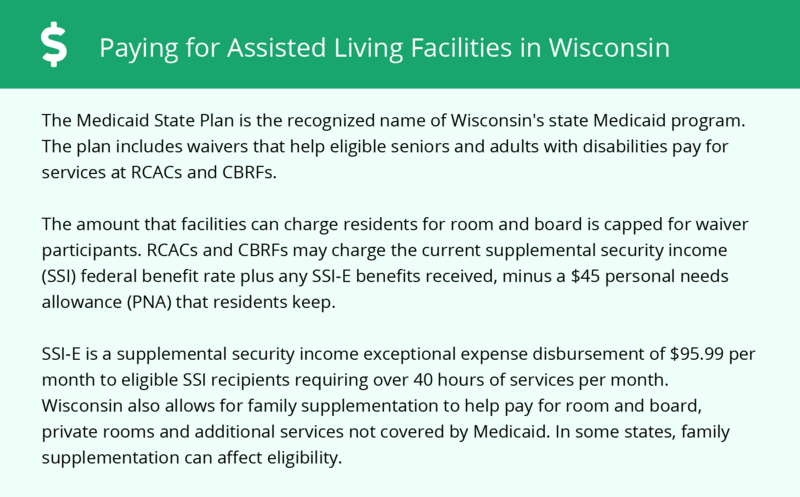 These facilities are licensed and managed by Wisconsin's Bureau of Assisted Living. The Brown County area is home to world-class medical facilities, including Bellin Hospital Green Bay, in the event of medical emergencies or illness. Air quality in Brown County received a passing grade in three air quality categories measured by the American Lung Association. Seniors with respiratory conditions may find this beneficial to their health. 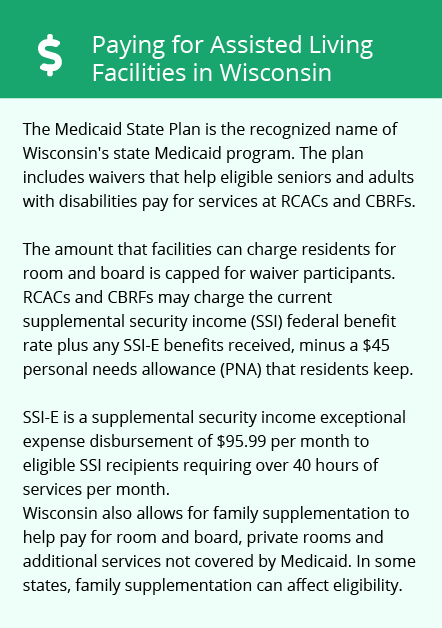 Seniors who receive income from Social Security or a government pension will not pay income tax in Wisconsin. However, income from private pensions or retirement funds is subject to income tax, which can impact the amount of money seniors have available for assisted living. Brown County has a number of public transit options for seniors. People living in Green Bay can access the Green Bay Metro service, which offers a reduced fare program for seniors and an origin-to-destination paratransit service for eligible riders. People outside of the Green Bay area can access door-to-door transport through the Brown County Specialized Transportation Program. Brown County has an array of community resources for seniors, including the Aging and Disability Resource Center, an organization that offers information, advocacy and access to improve the lives of seniors as well as more than one senior centers. Winters in Brown County are very cold, with the January low averaging just 10 degrees. The county also receives around 48 inches of snow each year, over 20 inches more than the national average. This can keep seniors inside for large parts of the year. Assisted Living costs in Brown County start around $3,410 per month on average, while the nationwide average cost of assisted living is $4,000 per month, according to the latest figures from Genworth’s Cost of Care Survey. It’s important to note that assisted living rates in Brown County and the surrounding suburbs can vary widely based on factors such as location, the level of care needed, apartment size and the types of amenities offered at each community. Financial assistance is available to seniors in Brown County through the Family Care Program, which provides long-term care services to adults where they live, including in residential care facilities. To see a list of free assisted living resources in Brown County, please visit our Assisted Living in Wisconsin page. Brown County-area assisted living communities must adhere to the comprehensive set of state laws and regulations that all assisted living communities in Wisconsin are required to follow. Visit our Assisted Living in Wisconsin page for more information about these laws.